There are many reasons why you may be considering transferring custody of your child to other relatives. You may be chronically ill, struggling with addiction or facing criminal charges. Your may ask a relative to become your child's legal guardian, kinship foster parent or adoptive parent. Physical custody is your right to give your child a primary residence. Legal custody includes all parental rights except physical custody, including determining what tradition or religion your child will be raised in, what school your child will attend and which doctors your child will see. If you transfer legal and physical custody of your child to a relative, you are temporarily or permanently giving up all of your parental rights. Guardianship, kinship foster parenting and adoption each have their own required legal paperwork and court procedures that vary from one state to the next. When you decide which type of custody best suits your needs, you must look up your state's requirements for transferring your child to a relative within one of the three primary types of custody. If a relative becomes your child's legal guardian, the arrangement can be temporary or permanent. Temporary guardianship is useful in situations lasting a few months to a year, such as your recovery from an illness. Your child is usually returned to you when the emergency situation is over. When your relative becomes your child's permanent legal guardian, your child is under your relative's control until the age of 18. You may become a co-guardian, have only visitation rights or give up all parental rights. Be aware that a court may seek input on possible guardians from your child and your child may tell the court he wants a different relative or family friend as guardian. If your relative takes custody of your child through a kinship foster parenting program, your relative can receive foster parent payments. Your relative will have temporary physical custody of your child, but the state foster care agency will have legal custody; thus, your relative will have to discuss any major decisions about your child with the state agency. Eventually, your relative and the agency have to decide whether to return your child to you, make your relative the child's permanent legal guardian or adoptive parent, or place your child with another adoptive family. Giving up your child for adoption by a relative means you permanently surrender all parental rights and your child becomes the legal child of your relative. Adoptions are rarely canceled so once your relative becomes your child's legal parent, the arrangement cannot be reversed. In most states, you cannot leave your child an inheritance, unless you specifically mention your child in your will. Can Someone Take Guardianship if I Have Sole Legal Custody? DivorceNet.com: What's the Difference Between Physical and Legal Custody in New Hampshire? The decision to relinquish custodial rights is one that can dramatically affect the life of your child. If you are considering giving up custodial rights, consult with your lawyer and decide whether the other parent is equipped to take custody of your child. If the other parent is unfit or unwilling to take custody, your child could end up in state custody. In Tennessee, the Department of Child Services manages cases of abuse involving children, but also offers referrals to families in crisis. If you are having trouble managing your children, consider contacting a mental health professional or an agency that can refer you for help. 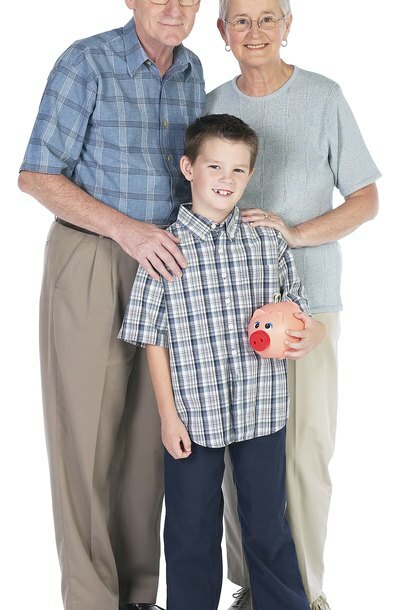 Can You Give Up Legal Custody of Your Grandchildren? One in ten of all American children now live with a grandparent, according to a 2010 Pew Research Center report. If you are a grandparent with legal custody of your grandchildren, you can give up custody for a wide variety of reasons. California courts can award sole physical custody to one parent or joint physical custody to both parents, based on the best interest of the child. The California Family Code does not favor either joint or sole custody. In California, sole physical custody is also called primary physical custody. Sole physical custody includes the right to control the child's whereabouts, housing arrangements, school enrollment, after school care, medical and dental appointments, holiday and vacation plans. However, sole physical custody does not automatically give the parent sole legal custody, which is the right to make all critical decisions over the child's life. Sole legal custody would need to be included in the custody order. The court order should outline each parent's child custody or visitation rights. Do You Have to Go to Court to Give Someone Power of Attorney Over a Minor?